There are many ways you can update your garden or landscape by creating distinctive and stylish garden paths. 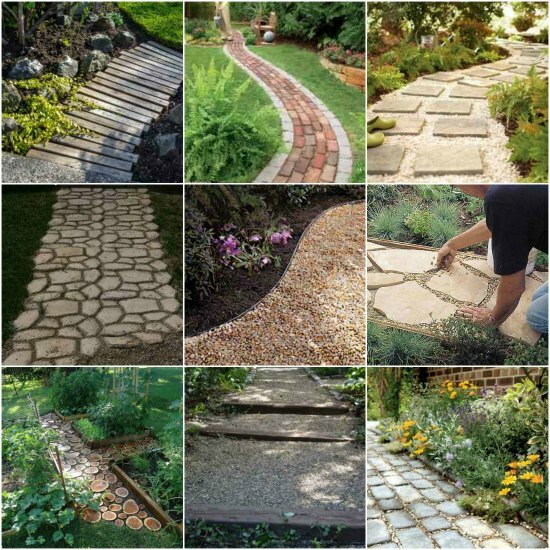 You can choose from these many great DIY garden path ideas if you are ready to update your property. 1. 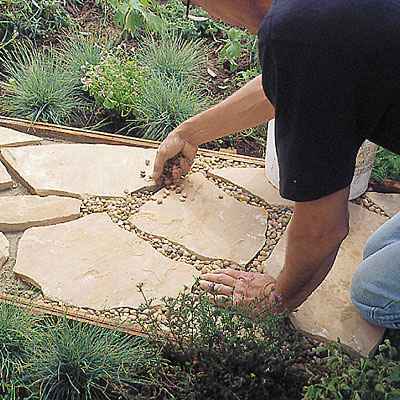 Make a flagstone path for your garden. 2. 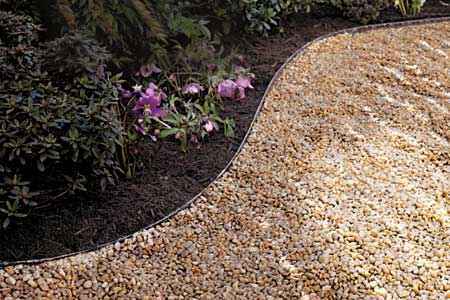 Create a gravel path that is lined on each side with stones. 3. 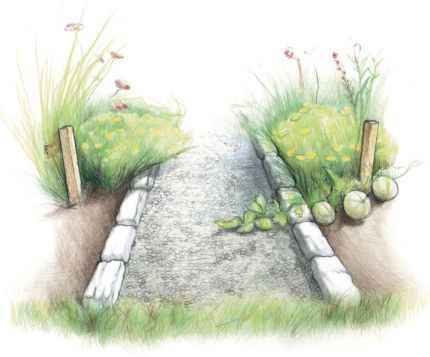 Build a garden path using stone and wood beams. 4. 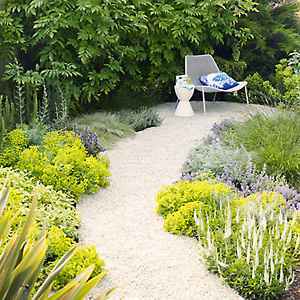 Create an enticing garden path for your home. 5. 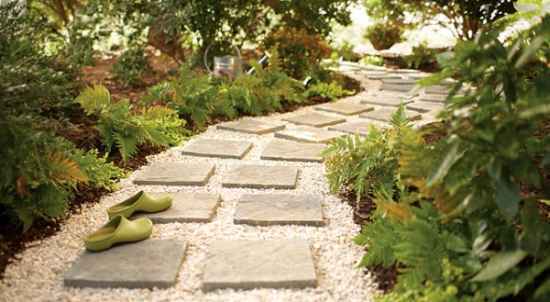 A garden path is easy to make from stone or brick pavers. 6. 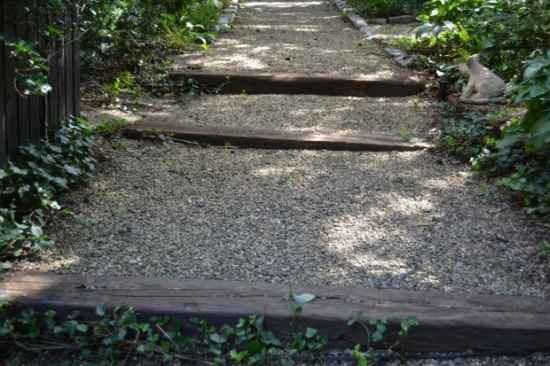 A simple gravel garden path is super easy to do as a DIY project. 7. 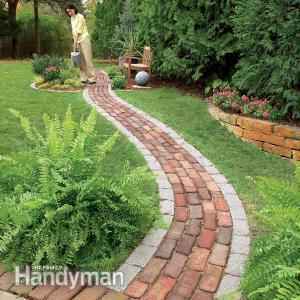 A brick path is really easy to make for a garden. 8. 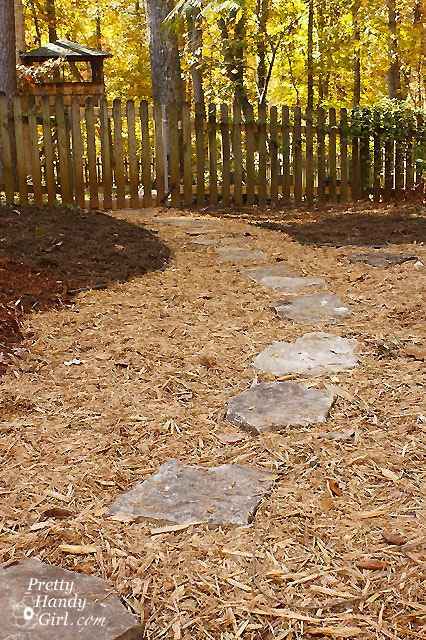 Making a garden path is a great way to use a bun of leftover mulch. 9. 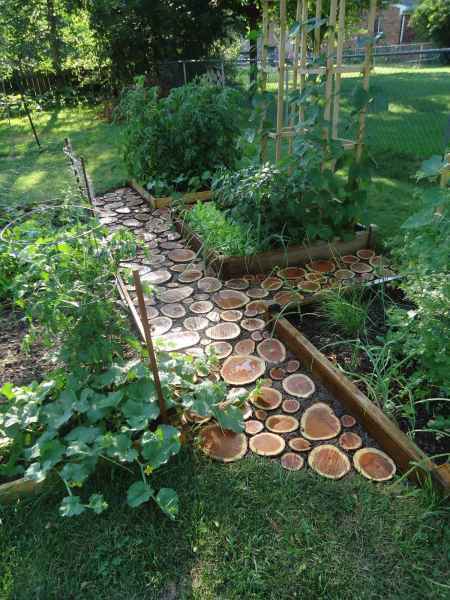 Cut pieces of wood are perfect to make a custom garden path. 10. 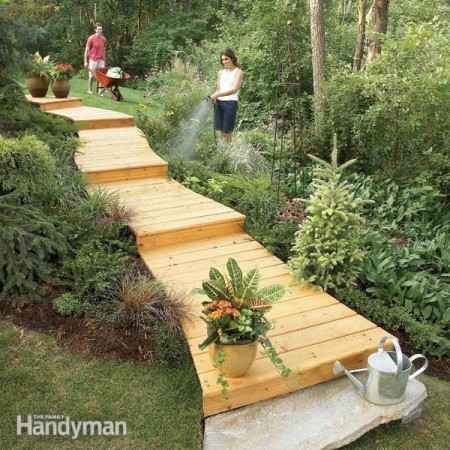 A boardwalk built out of wood is a great way to add a decorative element to a garden. 11. 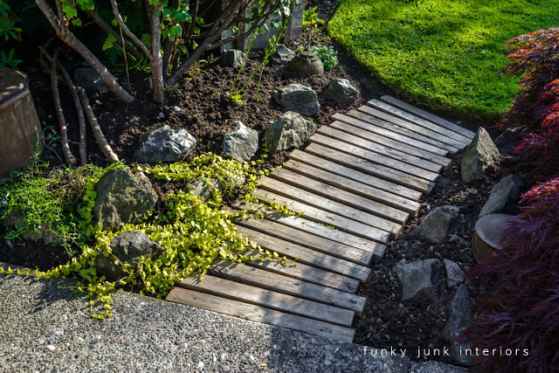 A great way to use reclaimed pallets is to make a custom garden path. 12. 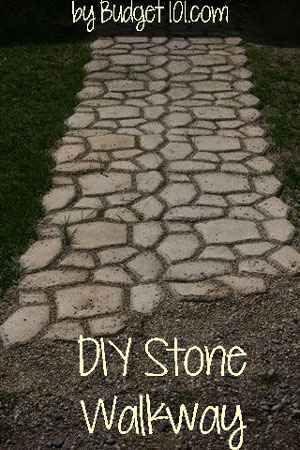 Build a stone path for cheap to update your garden. 13. 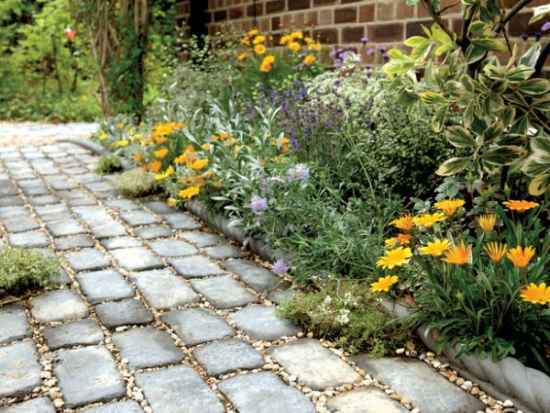 Brick pavers are a perfect material to use to create a garden path. 14. 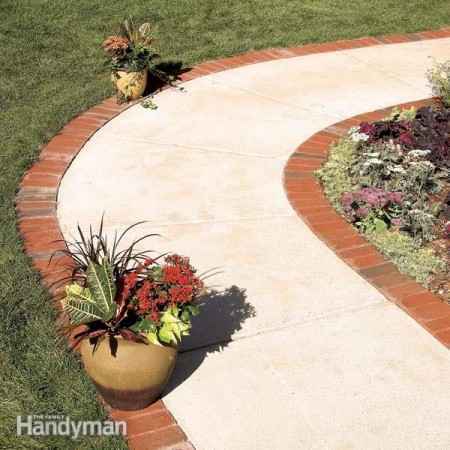 Add brick borders to a garden path as a custom feature. 15. 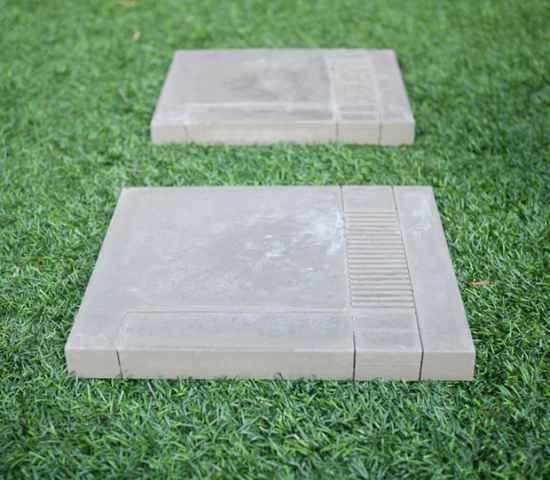 NES stepping stones might be fun for your garden. 16. 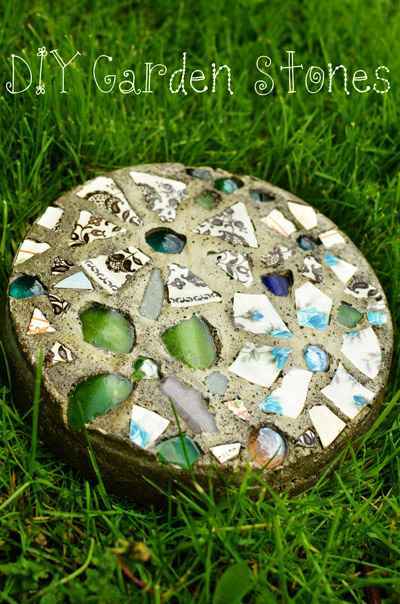 Make your own cake pan garden stones as a custom DIY project. 17. 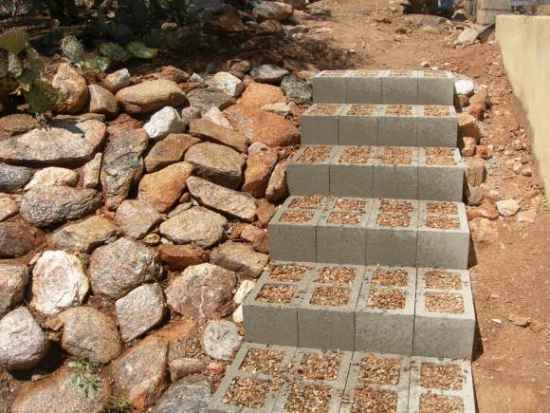 Custom steps for a garden can be built by using concrete blocks. 18. 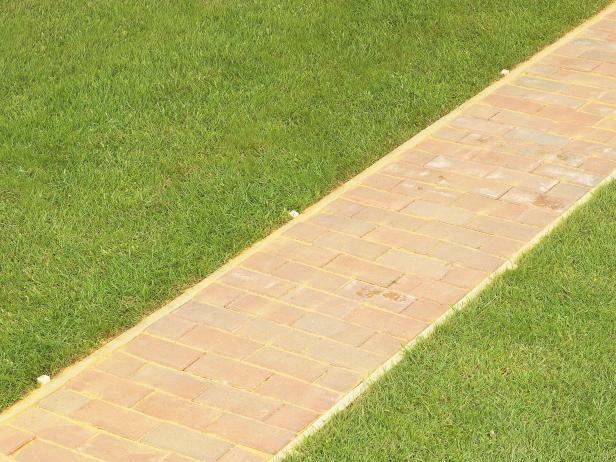 A garden path made from real bricks is easy to do at home.